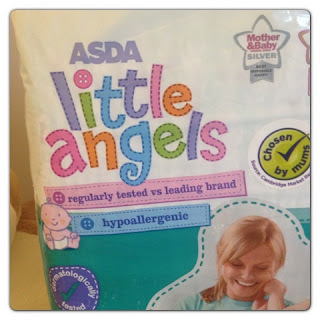 This is a little different from my normal posts but i have reviewed Asda's Little Angel's* nappies and wanted to share my thoughts with you. For any mum's out there you will understand my pain when paying for products that are a necessity and end up in the bin hours after wearing them. When my little boy (Archie) was born I knew nothing when it came to nappies, creams and wipes. Being uneducated with anything baby "like" I decided to go with the brands that I knew ,these being Pampers and Huggies. I ( like many new mothers ) thought these would be the best and supermarket own brands would be inferior. After trying Asda's own brand I found myself eating my own words. Adsa's little Angels have a super absorbent core that draws liquid away from your babies skin allowing the skin to remain dry and comfortable. I'm sure we have all faced nappy rash at one time or another and it's not nice. These nappies left Archie's little bum dry and held the liquid well without any leaks even at night time with 8-9 hours contant wear. Obviously not being able to wear them myself it's hard to tell how comfortable they are. This being said I found them to fit lovely around Archie's legs and waist. The elasticated leg cuffs means he was left with no red marks or chaffing, which is one of the main causes for discomfort along with dryness. I found these to be very absorbent and held up fantastically at night. Archie is in bed by 7 o'clock and his last nappy change is after his bath is at 6 o'clock. He normally wakes between 5.30-6-30 ( I know you all will feel my pain there!) . When he wakes there is no leakage at all, sometimes the nappy is so heavy it surprises me that it managed to stay on! 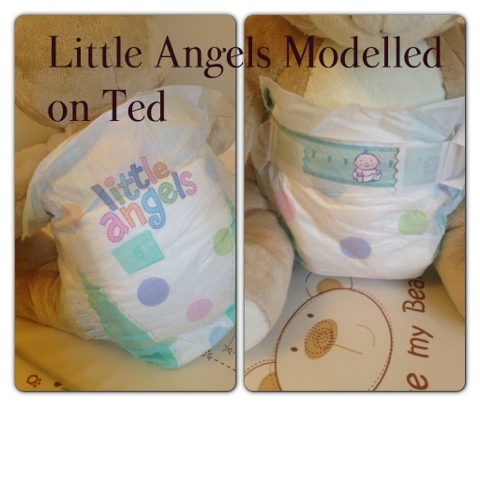 With the elasticated cuffs and shaped core these nappies are very easy to walk, crawl and play in. I haven't noticed that they are hindering him in any way. The waist and legs are super stretchy and don't restrict him at all. They are in my opinion on par with branded market leaders. Asda's little Angels are fantasic on price, cheaper than leading brands, with the same high quiality and standards. Little angels (40 in a pack) are priced at £5.97 (+), Pampers Simply dry economy pack (44) are £7.00 (reduced from £8.49),(++) Huggies Super dry (44) £9.99 (+++). 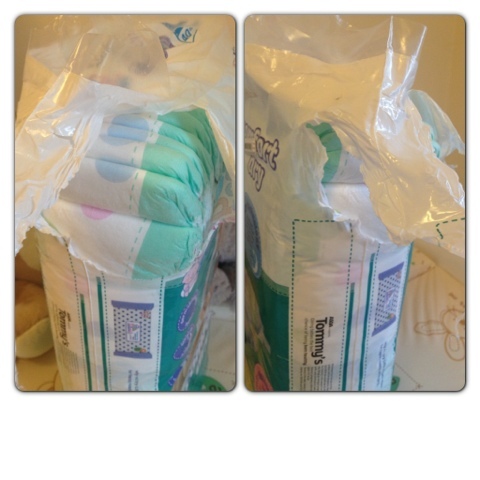 Pampers -19p per nappy ( normal price) 16p per nappy, sale price. My experience with Little nappies is they are of the same high quality ( if not better) and less money than branded nappies. I would never go for a cheaper product that was going to be less effective when it came to caring for my little one. The only small complaint ( that could have to do with me more than the nappies) is that the pack was not very easy to open. It seemed not to have a good perforated edge which resulted in me having to tear them open, like i said it could have been me or a faulty pack. This being said would no way put me off buying them in the future. Overall and would I buy them again - 5/5 and Yes! 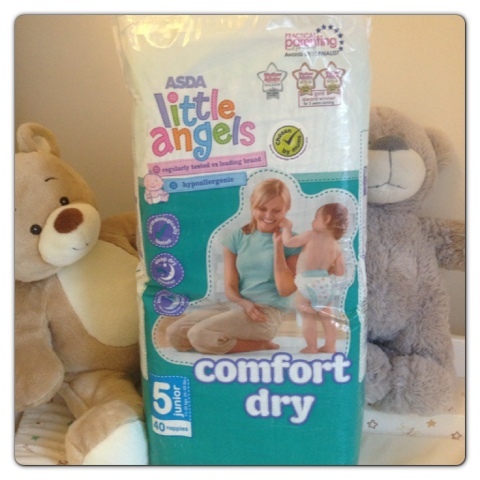 Have you tried Asda's Little Angel nappies? What are your thoughts on them? Do you think they are as good as leading branded nappies? Pull-up nappies are like pants with padding that helps them absorb. 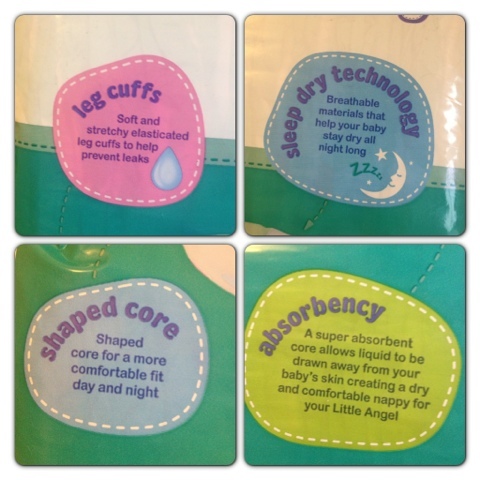 To use these nappies, you do not need to make your baby lie down.